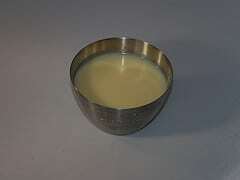 This is a great way to make sweetened condensed milk, just like Borden’s. It is lot cheaper to make it this way, and it does work nicely for baked goods. 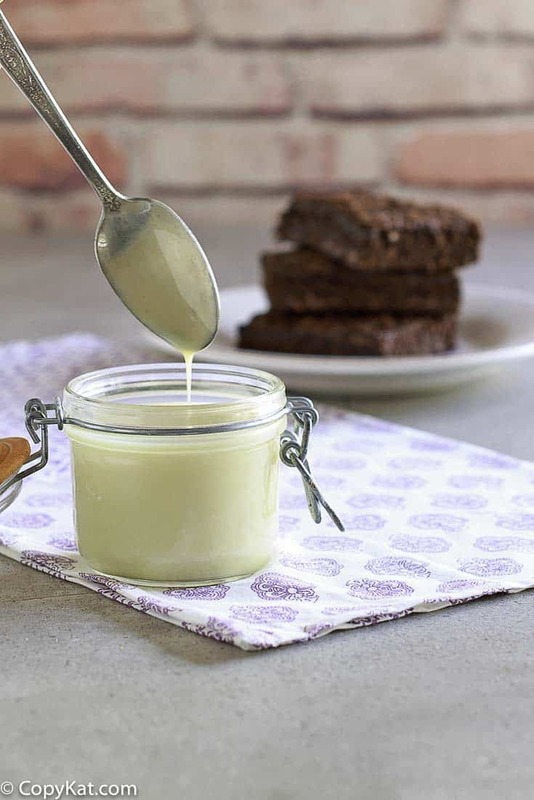 So why not try making your own sweetened condensed milk at home. Homemade sweetneed consdensed milk is perfect for baking. I needed a can of SCM for homemade coffee creamer and didn’t have one, I made this. I made it to the letter of this recipe and it was AMAZING! I added the other ingredients for my creamer to it and it is the only one I am going to use now. Oh, one day I am going to get this made. I thought your idea of putting the dulce de leche in won tons was brilliant. And if you keep going, continuing to stir frequently, you have … Dulce de Leche. No need to put a can in a pot and hope it doesn’t blow up on you this way.